Over the season leading up to Easter our church network had a time of prayer and fasting. We want to see people come to know Jesus in our dry land. And through that, it means seeing healthy churches coming to life by the work of the Holy Spirit. What the culture celebrates here is much like the U.S. version of the Easter holiday, only with an added number of traditions that stem from pagan roots. And we're learning a lot more about the ins and outs of these traditions through our relationship with the kid's schools. Even though the non-religious population is the highest in Europe, the traditions here tend to be incredibly religious and superstitious in nature. And that is a balancing act in regard to what we engage in as a family. There are traditions that we can easily adopt, while others (like witch burning day) are not so easy. Though, they can make for interesting springboard conversations to the Gospel. 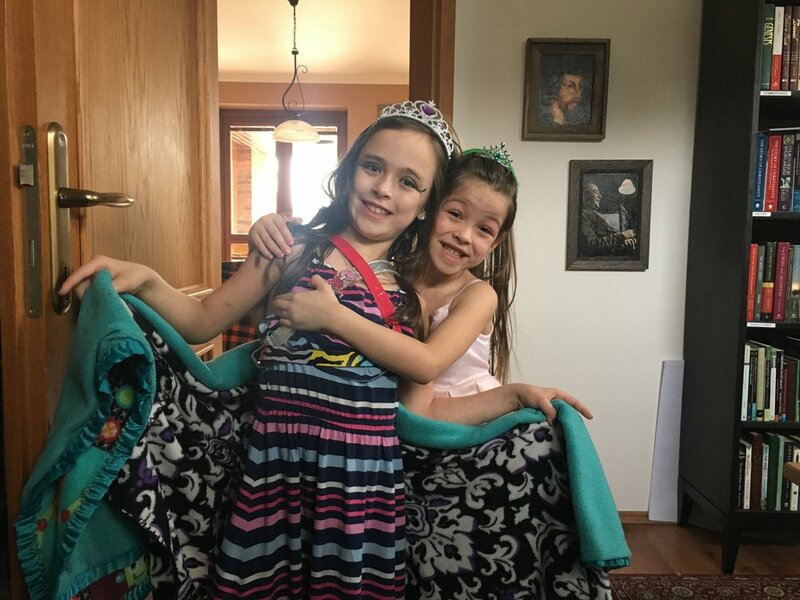 Addey and Nora dressing up as princesses for a special event at their school. The Czech Easter tradition of whipping girls with switches to purify them and give them good luck. We had a boy come to our door at 6am wanting to do this to Nora and Addey.....A bit awkward. 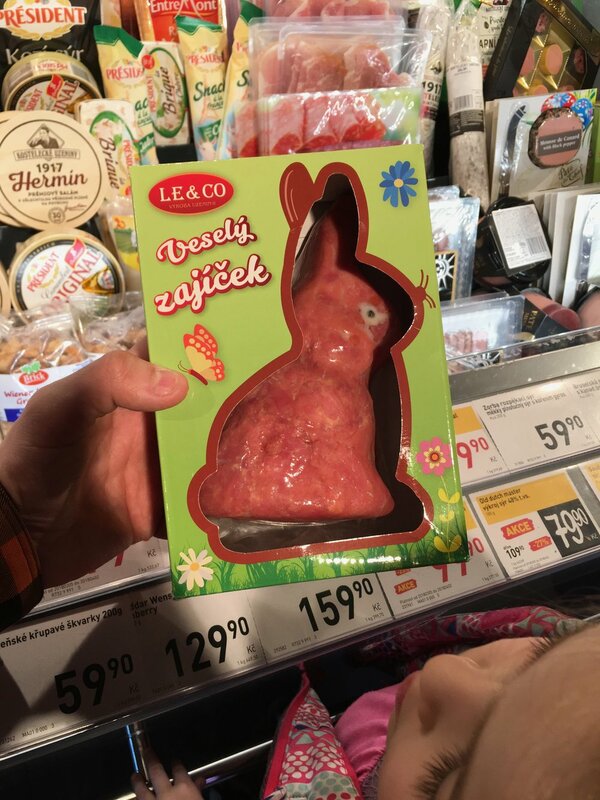 This is an Easter Bunny Meat Snack of some sort. Nora and her teacher. She has been one of the sweetest to our family, and we truly appreciate her being there for Andrew and Nora. One of Addey's teachers dressed in an old fashioned Czech dress, as she taught the students. Our family is doing well overall here. The language process is still an uphill battle, but we're seeing progress. Especially for the kids. Since we started putting our kids in national school, Lisa and I have watched them struggle, cry, and lament their way through the unknown. But over the last few months we've seen them loosen up quite a bit with regard to their schools and we've even heard them speaking Czech to each other while they play! So now, Adelyn will be finishing 1st grade to move on to second, Andrew will be moving on to 1st grade, and Nora will be in Kindergarten (Školka). We're proud to see them acclimating to their new world. The kids getting ready for a ride on the Tram. Addey had her first big birthday party, where she got to invite a bunch of her friends from school. This made for an interesting day of watching over kids who don't fully understand us. 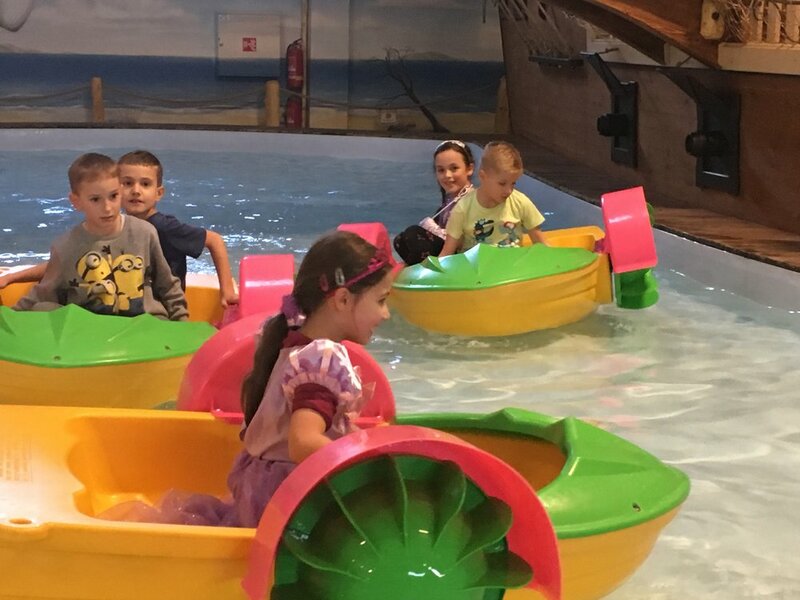 The Birthday party at Krokodylek (A kids indoor playground) was a success. No one died. Andrew getting tested for 1st grade. There was a special guest at Addey's school, and she was called on to present the next subject. One of the vital things that God has used to sustain us here has been our support system. We have multiple layers of accountability and that has helped us to keep our head on our shoulders. Between our Czech church, our Pioneers Team, and our Supporters/Friends/Family back home who pour into us, I have to say we are extremely grateful for the amount of people God has given. 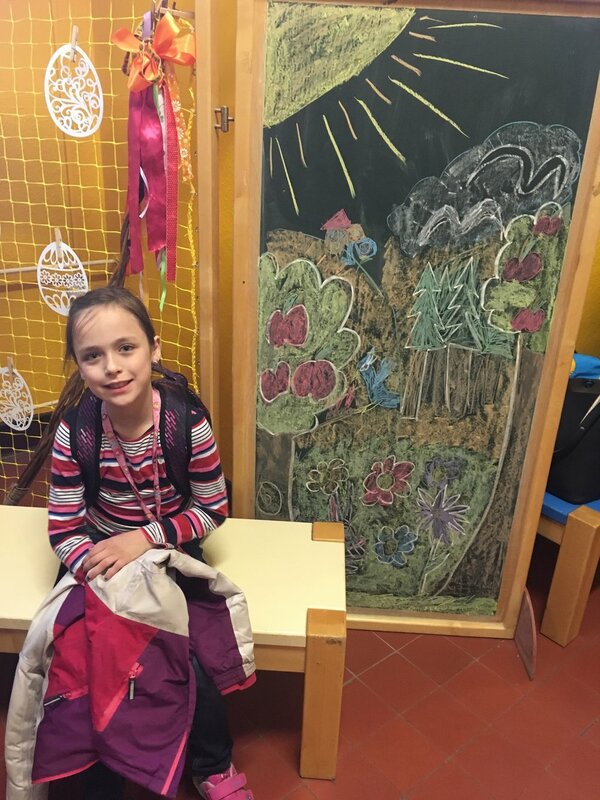 Addey's teachers like her art so much that they asked her to do this for the main entrance of the school during the Easter season. In February we had the opportunity to go back to the SHARE conference (don't ask me what the acronym means). This has been one of our favorite events of the year, as we spent a week with other missionary families from around the world. There were some families who haven't had English conversations for an entire year, so it was really fun getting to hear their stories and be mutually encouraged by each other. There were people there who volunteered their time to serve us, and through a generous counselor, Lisa and I found out our marriage is normal (score! ), and that Andrew is right on track with his development in speaking (double score!). The kids were reunited with old friends and it really filled our tanks for the next few seasons. We're grateful to call this event a long term investment toward being a healthy family in the Czech Republic. Worship at Share was sweet. The kids had a medieval themed week, and they had a big recital at the end. 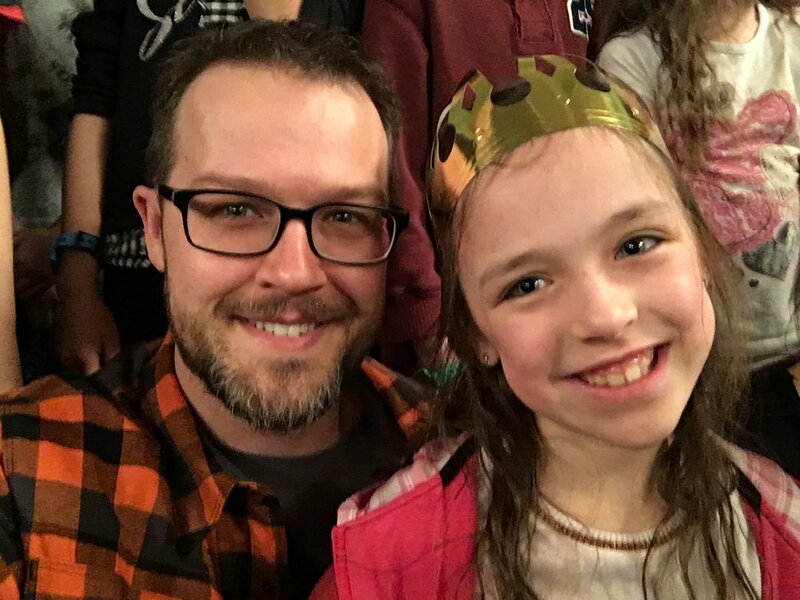 Share is a great opportunity to learn how to do family ministry, and the TCKs (Third Culture Kids) get to spend time with kids just like them, and ask their teachers difficult questions. 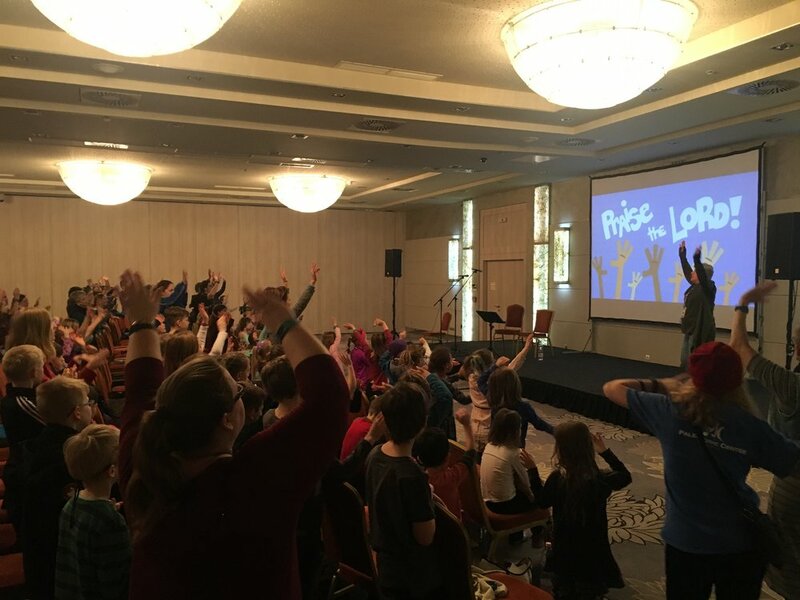 It was really sweet for the kids to spend time worshiping Jesus with other MKs. This last season we have continued to put on the parenting workshops. We will be taking a break from this for the Summer months, since most of the people who join us will be gone, and we will re-evaulate what the next focus will like be in the Fall. But what we've seen with Metro Church has been positive. We've been asking for God to raise up new people in the church, and not only has the college ministry grown in size, but we're also seeing new members of the church! We're praying God sized prayers that only He can answer, so we ask that you'd join us in praying for 10 new members by the end of the year. The Lord builds His church through the Gospel, so pray that our church would center our attention and affections there, and that we would be open to the Spirit's leading. Over the last few months we have also had the opportunity to connect with a church plant in the town of Šumperk. Kostel Jinak (Different Church) is a like-minded church who are also a part of the Majak Network. I was given the opportunity to preach there in April, and getting to know the people has been a lot fun. They want to be a multiplying church, so we're excited to see what God will do with that in the future. It is easy to internalize with such a small Christian population. But our church has gained a broader view of what God is doing in the world, and we have even sent one of our own to serve on a short trip to an orphanage in Nepal that Metro supports. Their overseer recently died of cancer, so they are in a great need of prayer/leadership. 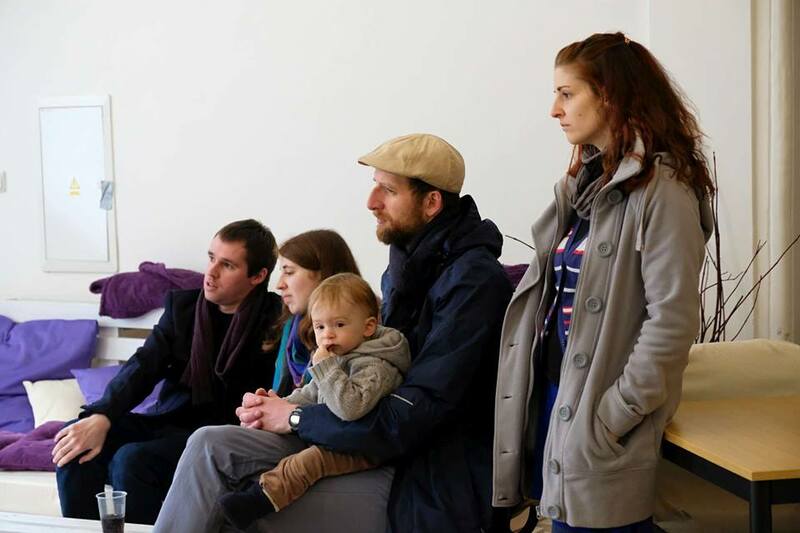 Our Church in Olomouc (Metro Church) has a new team of Elders! Grateful and excited to see God raise up local leaders to shepherd the church. 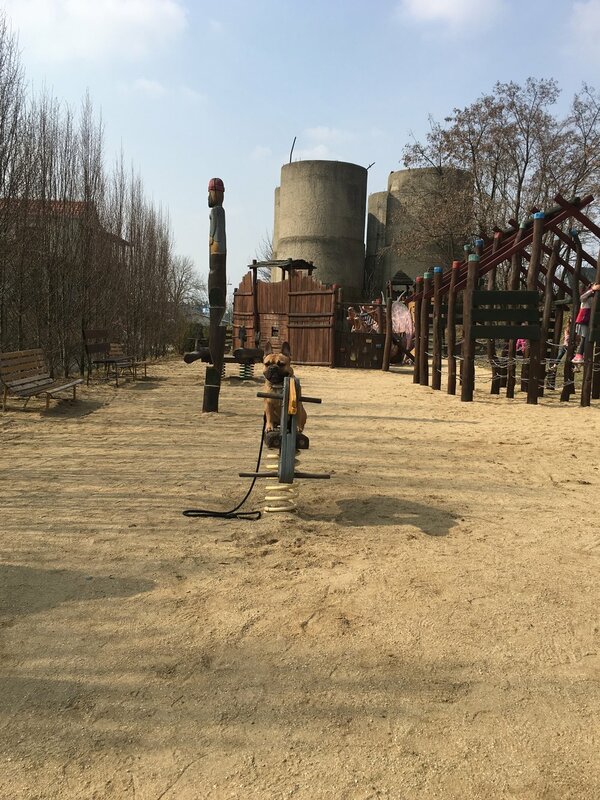 Connecting with Kostel Jinak has been really sweet. They are a Word and Spirit church in the city of Šumperk (about 45min north of us). Lisa and Eva talking about babies, while Addey braids her hair. Pete and Dan at the Easter BBQ. Our city Olomouc is like a living organism. It changes with the seasons and even the demeanor of the people is visibly different based on the time of the year. MKs (Missionary Kids) have a connection to each other that is very unique from single culture kids. When I was stationed in Okinawa, there was a closeness to my friends there that was different than the other amazing friends we've made elsewhere. It was because we were in a foreign situation together, and I would argue that third culture kids have a closeness that is even more different than that. They have an entire upbringing that doesn't fully mesh with their passport nation, nor their host nation. And there are really amazing characteristics that can come with that.